news Optus Wholesale has announced that it will provide wholesale NBN access to smaller ISPs, and has already signed an exclusive deal with SpinTel to allow wholesale NBN access for its residential broadband customers. The deal is made possible via Optus’s horrendously acronymed RBBoNBN (Residential Broadband over NBN) product. This allows smaller ISPs to meet the ACCC requirement of 121 points of interconnect (POI) to the NBN without building out their own costly infrastructure. 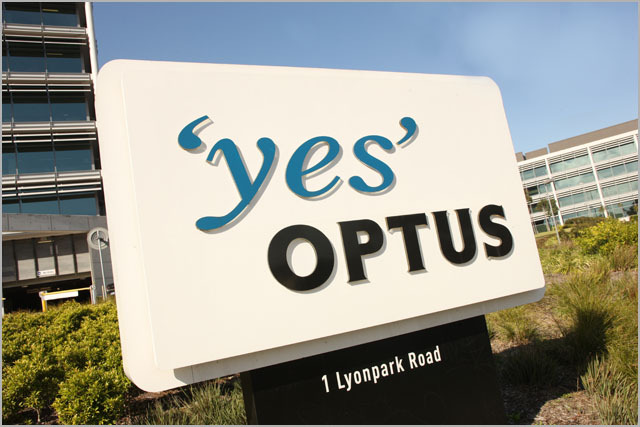 Optus said it is also investing in back-end automation to deliver a “more seamless experience” for its wholesale NBN customers. John Castro, Optus’s Wholesale Head of Marketing and Strategy, said his firm had been “rounding out” its wholesale offering for partners looking to access the NBN. “As the NBN surpasses more than one million households nationally, partners want access to that market via a single, carrier-grade network without an exhaustive investment outlay. Our wholesale solution delivers that access,” Castro said. Castro added that Optus has brought in a “suite of improvements” to support the customer experience under the wholesale NBN access model. “We know the importance of a great customer experience and have invested in a range of technology platforms that will improve service connections, and the management of faults, which will result in cost efficiencies and customer experience benefits,” said Castro. To this end, Optus said it is providing Layer 2 wholesale aggregation to all 121 permanent NBN POIs and access technologies available from NBN, via the wholesale RBBoNBN product. Opening up the NBN to smaller companies in this way should go some way towards easing widespread and heavy criticism of the ACCC’s 2011 decision to set the number of points at which retail broadband providers could interconnect with the NBN at 121. The move was unpopular as it forced small to medium-sized ISPs to set up infrastructure connecting to each of those points if they wanted to compete for NBN customers on a national basis. This model was seen to give a significant advantage major companies such as Telstra and Optus, which already already have a dominant position in Australia’s broadband market. The Optus HFC network is degraded and unusable. The Telstra one will grind to a halt. It’s not NBN it’s HFC just the fools invested our money into buying it. I’m back on ADSL at the moment and omg the packet loss is driving me crazy. I’m really caught in the middle right now, stuck on HFC until the entire metro is condemned to it. Can’t move back to telephone lines whatsoever. Can’t afford 600k for land in the small pockets of FTTP areas so only for the priviledged. Is there anything on how Optus is provisioning access to this system? Is the retail ISP responsible for CVC, or is Optus handling all the NBN side of things and just charging a set rate for access? It’s good to see innovation in this area – Optus’s mobile network wholesaling has allowed an order of magnitude more choice and competition in the Australian market than would otherwise have existed, so a similar model applied to the NBN could be an excellent move. Telstra have been doing the same thing albeit at extortionate price levels. Perhaps now SkyMesh might have a realistic avenue to start providing FTTN services through Optus instead. Instead of the RSP connecting to NBNCo directly at 121 POIs and paying for NNI/CVC and backhaul to each, you have one aggregated “AGVC” into Optus Wholesale that provides national coverage to all POIs.